How can we ensure investments reach all children, particularly the most vulnerable and marginalized? families living in rural and remote locations. Consider... Four year old Sebastião and five year old Maria live with their parents and nine siblings in Chiure district northern province of Cabo Del Gado, Mozambique. People in this district survive through subsistence farming and live extremely simply, with annual periods of drought and deprivation. In 2011, with NGO support, a community run prechool centre was built in the village. Every morning Sebastião and Maria go off to preschool where they engage in lots of group play and learning. They also receive a substantial porridge lunch cooked by village mothers. Community members comment on how ready these children are for school in comparison to their older siblings, who did not have the opportunity to attend an ECD program. Ana Maria: Here there was no ECD. The first thing we did was to learn about the villages we did not know and contact the local leadership. Because here in the village the leadership plays a huge role for the rest of the community. They in turn, call the community together and explain the intention of the project to the community. One of the things we have done to be able to involve the community more and more are specific roles for the community. For example we talked about the schools construction and it was the community that identified the ideal location to build the school, make the area boundaries of the school, participate in the construction, and participate actively in the selection of educators who are young people from the community. All of this involvement makes the people of the community feel more and more owners of the project itself. Mama Tanella: I am Mama Tanella Capuquela, I live here in Manitá village. I was cooking corn porridge. I come here to see the educators and the way they work; they work and teach very well, because they are from the community. It's really good, and I really do thank and celebrate. Ana Maria Bondeca: We have 22 schools here. We have an ECD principle in our program that the ECD we want to implement is holistic where children learn through play. How is this program the same – and different – from preschool programs with which you are familiar? The teachers use ‘call and response’ in almost every aspect of the program – from outdoor games, to playtime to group teaching activities. Why? How do you think this program impacts these children? Keeping in mind that ECD refers to a wide variety of programs supporting children from conception to age 8, one can see that access to ECD programs and resources is a decided advantage for young children, particularly those who are disadvantaged or vulnerable. However, access is often inequitable across regions and countries and even within local communities. Social, geographic, economic, ethic and often gender barriers prevail in many parts of the world. The evidence shows that vulnerable children benefit enormously from early childhood programs (Chan, Lake and Hansen, 2016) and yet, they are often least likely to have access. On this page, we will look at a few aspects of this vast and complex issue including: rates of accessibility in different regions, the debate as to whether universal or targeted approaches are the most effective, rights to access and barriers for children with disabilities, and an innovative community-based program for rural children in a post-conflict region. Policy makers often must consider using universal platforms versus targeted approaches to reach most vulnerable young children. Sometimes it is a universal net that is needed to catch marginalized and vulnerable children. In other instances we can design interventions to identify and target the most vulnerable or marginalized children. In the next clip, Jody Heymann, University of California, argues for the benefits of universal programs. The experience in most countries is that universal programs have more success, not only in reaching everyone, but in reaching the most vulnerable. And the reason for that is fairly simple. When programs are targeted only at a few, they’re easy to cut from government budgets, they’re easy to do poorly; there aren’t enough people to advocate for them. So when we’ve created, for example, successful primary school or secondary school as societies around the world, none of our countries have said we’re only going to create primary school or secondary school for a small number of children. We’ve said it needs to be for everyone. We have to do the same for 0-5. Likewise on healthcare, overwhelmingly what all of our countries have done is said healthcare should be available to all, not that we should provide it to 5% or 10%. And we need to do the same for health and nutrition to our youngest children. What is your response to Heymann’s comments? She makes the point that unless programs are universal, they are subject to cutbacks. Do you agree? In the 2015 Hong Kong workshop, Nicholas Burnett, Results for Development, points out some arguments for targeting programs to the most vulnerable. DR. BURNETT: Thank you very much. I want to focus particularly on the question about how you get resources to programs for the vulnerable and disadvantaged, because resources are limited. One of the ways to do this is through targeting. The basic problem, of course, is nothing new. It has been stated already in many different ways. Those most likely to benefit from early childhood programs are actually those least likely to be participating in them. A second point is that governments either cannot or believe they cannot finance these programs. So part of the answer -- and I want to stress only part of the answer -- is to target the resources, to target them on the poor and vulnerable. Briefly, what I want to do is just run over a few straightforward aspects of this. It may be fairly basic, but the reason I want to do it is I think it actually has got some quite important implications for our broader theme of integrated versus coordinated services. I have seen that in the first workshop of this Forum you had some discussion about this whole question of public obligation, universal programs versus targeted programs and so on. I think the important question which does need some thinking about is whether or not targeted programs are politically acceptable in whatever context you are in, and the answer may be different in different places. But there are also technical answers to that as well as political feasibility answers, but especially around the question whether it is actually cost-effective to have universally-provided programs when some of the better-off portions of the community can afford to purchase their own services, what the impact is on the poorer households and so on. Similarly, there are targeted programs also having questions around them about whether you can actually do it. Again, this may depend on the particular context. Then there are important questions about the trade-off between equity and efficiency, as well as the questions about the trade-offs between universalism and targeting. Finally, which is not our subject today but I just want to touch on it for a second because it is quite interesting, it does seem that there are actually some differences on the -- at least judging from some evidence from kindergarten programs -- there are some differences in program quality according to whether the programs are universal or targeted. These differences are, perhaps not so surprising but they slightly surprised me, that the universal programs are much better in the sense of they are more structured, they have more formally qualified teachers, caregivers and so on. The hours are more formal. Whereas, the targeted programs tend to be looser but, at the same time, have higher quality of interaction among the children and between the children and the caregivers. Although, interestingly, these comparisons also seem to show no ultimate difference in terms of achievement by the children, so there are some questions about what was actually being measured there, also. How might targeting be done? How is it done? Well, it can be done in many ways, of course. The simplest way to do it -- and this is very relevant here -- is to target your program using some sort of criteria that already exist in the context in which you are. That is the simplest. The two typically most used are geographic targeting and income targeting. There can, of course, be other ways -- we just heard about ethnic groups or linguistic groups and that sort of thing. A very key point that is often forgotten is the need to also validate at the local level something which may be determined at a national level, but to validate even at the specific household level that, in fact, the criteria are being met. I want to suggest that there are two ways of targeting which are important for us to think about. One is financial targeting, which is basically putting actual money or at least purchasing power into the hands of poor families so that they can access ECD services of various types. And there are some quite well-known examples of this like conditional cash transfers, and there are also perhaps some not so well-known examples like family allowances in Mali or the voucher schemes in Switzerland. I don't unfortunately, given the time, have the opportunity to go into all of that, but the point I want to make is that there is quite a wide range of things and quite a wide range of countries. The other main type of targeting is actual delivery -- who you deliver to, not providing the money to children but providing the actual service to the children. Here again, there are quite a lot of examples of different types of things which have been reasonably successful in different contexts. I won't go into details but I will be happy to discuss some of these with anybody individually afterwards if you would like to know something about them. Some of them, of course, are very well known like ICDS in India or the Turkey program and perhaps some others not so well known. The main point -- and I want to conclude here because I think this is where the messages are for this particular workshop. There is this issue about whether or not there is consensus which has to be dealt with in each context. There is a particular problem even if there is an agreement to do targeting of whether you can actually do it, whether you have the data that you need for it. But the main point I want to make is -- and we have seen some examples of this. I am only aware of some examples from, interestingly, some high-income countries but I expect there are examples from low and low to middle-income countries but I haven't had the time to find them. Examples where there is quite inconsistent targeting across health programs and education programs and so on, which actually can be quite a problem. So this is the main point I wanted to get over for this workshop. Thank you very much. Burnett makes the point that targeting resources to the poor and most vulnerable makes good sense, financially and in terms of equity. What are his key arguments? He also briefly discusses research comparing universal and targeted ECD programs. Interestingly there are no differences in terms of achievement by the children but there are differences in the programs themselves. What are your thoughts on this? Do you have personal or professional experience that relates to what he says? Caroline Arnold, Director of Education, Aga Khan Foundation, provided a good background on access to Early Childhood programs in her presentation in India in August, 2014. Watch as she presents some data on enrollment trends in early childhood programs globally between 1999 and 2011 and discusses disparities in access. Good morning, again, everybody. So where there is no financing we have heard this wonderful history from Sumit Bose about the extraordinary increases in public investment in children in India. It is so impressive. We have heard an optimistic scenario from Jan on the promise of domestic revenues, which is fantastic, but I am impatient. I want to know what is going to happen over the next now and over the next few years for kids in the many countries where there is still no financing for young children. Actually, my presentation does end up being optimistic as well, but I want to bring us back to the reality of what is happening in many countries for young children that is very tough at the moment in terms of there just is no financing for them. Let’s look at the trends in early childhood education access. Of course, all of us in this room are very committed to the whole age range, prenatal to 8 years old and the caregivers. I wanted to hone us in on the preschool access issue for a minute just because that is where got some good data, and I think it tells a story that is relevant for the other age groups within the early childhood age span as well. What is happening? Well, in low and middle income countries, pre-primary GER has certainly been going up from 27 in 1999 to 45 in 2011. That means access for 53 million more children. In fact, 25 million of those are from low-income countries. Those are all UNESCO Institute of Statistics figures by the way. If we look at the regional picture, we have got something that looks relatively good over the left-hand side, Latin-American and the Caribbean and Central and Eastern Europe. As we go along the graph it is looking pretty dire by the time we get to the Arab states in Sub-Saharan African that still has 18 as its GER. The green ones are the recent figures obviously. So we are all going in the right direction, but are we looking good here? Well, Sub-Sahara African the lack of access is really serious. Eighty-two percent have no access, Arab States 77 percent no access. In South Asia, it is still over 50 percent of kids with no access. That really means that there has been a failure to provide adequate financial resources whether it is from national governments, from donors or the private sector the money has not been there. Then of course even where there is investment is it reaching the kids who need it most, the poorest kids, the most disadvantaged kids. I realize you can’t possibly read the list of country names there, but all you really need to be getting from this graphic is those red dots are all in the 20 percent region and those much nicer looking green dots, some of which are virtually at 100 percent they are the rich kids. Those poor kids, even where you have got an average that doesn’t look too bad it is not reaching the kids who really need those supports. Sheila Manji I hope you will be able to talk to later as well. Sheila, do you want to just stand up for a second so people know who you are if they want to talk to you on the coffee break. She and I together with Venita and others have been working on a background paper for the next EFAGMR, looking at what is happening in terms of access and what is happening in terms of policy, particularly looking at private and public provision. We have also been looking at what is happening with access with the gaps. You can see here the red lines are the wealthiest quintile; the blue lines are the poorest. We have got this for dozens of countries now. It is so tragic seeing this that this gap is really widening. It is the old elite capture story, even when it is public provision (audio cuts out). The good news side is we are finding more and more with many of us working in this area that flexible approaches tapping into a range of financing options can really break this cycle. I am just going to show you a couple of examples from Central Asia where we do a lot of work. The same would apply with our programs in Africa and the Middle East. In Tajikistan and Kyrgyzstan we have been able to work closely with government starting pre-primary classes in under-utilized school classrooms. That has really been adopted now for the national model for roll out. There is real commitment now from the Ministry of Education to take on at least one of those salaries to pay those teachers. At the moment they are being paid by the community. Kyrgyzstan is further ahead. In fact the salaries for these teachers in alternative models have all been absorbed by the government now as the operational costs as a whole have. Afghanistan pre-schools in community homes are not so far along. It is going to be 10 years before we can really see the sort of absorption of costs by government. I have two more slides only. There are a lot of different pieces of this financing solution. Private sector, I am talking about both civil society and for-profit groups here do have a role to play as both speakers have been saying. The fees that parents and communities offer, the income generation also done by the pre-school associations and the communities, the fundraising also often done by the community so three very important pieces of community contribution here which often really does go uncounted and needs to be looked at. Most important of all is that local and national government budget support. For all of that to work there has to be a lot of work on awareness and engagement, getting everybody involved. What we want to see is the government budget absorbing more and more of the operational costs. The reality is that everybody is going to have a role to play. This one we may talk about in another session more. I just want to mention this because it is quite exciting. We are starting now to work on sustaining social development through economic drivers in a non-profit trust mechanism where an investment vehicle is setup, financing facility investing in businesses, both economic drivers are returning a profit and then a percentage of both financial returns go into a nonprofit trust mechanism that then disperses funds for social development such as ECD. We are doing this now in Afghanistan in Kyrgyzstan. We are just about to get going on it in West Africa. It is one of those pieces of the puzzle that I think does offer quite a lot of promise. I went bit overtime; I am sorry, but thank you very much. Test your memory of Arnold’s presentation in the following interactive activity. Click on the next button below to begin. Overall, pre-primary enrollment in low and middle income countries increased between 1999 and 2011. Access to preminary education has increased the most in the Arab region. 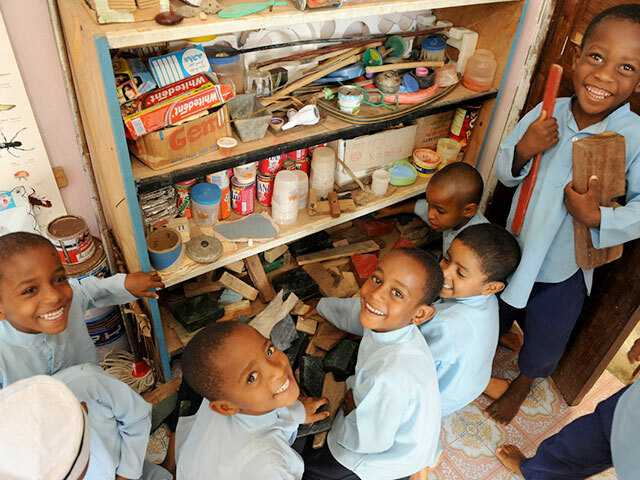 82% of children in subSaharan Africa have no access to Early Childhood Education programs. Drag the regions on the left to their proper order on the right from most to least access to ECE programs. What percentage of children all over the world still have no access to early childhood education programs in the following regions? Drag the correct % to where you think it best fits. Which of the following does Arnold suggest should be part of the solution in increasing access to ECE, for all children? Click on all the solutions she suggests. Both Heymann and Arnold see great benefits to making ECD programs universally accessible. Are there any universal programs for children zero to five in your context? What are the benefits? Heymann asserts that ECD programs, including health and education, should be as universal as elementary and secondary school. Would this be a new idea to policymakers in your context or has there been movement in that direction? Can you think of effective programs that are not universal but should be scaled up? Read | How are we doing and how we get it right for children? Children with developmental delays or disabilities are often the most vulnerable in any society. Policymakers are obligated to consider their rights and needs as an integral part of policy design. Deliberate and inclusive early childhood services for all children are essential. In the next presentation from the 2014 Washington, DC workshop, Maureen Durkin, University of Wisconsin, discusses how children with developmental disabilities are frequently excluded from the early child development agenda and why this needs to change. Good morning. I would like to thank the Institute of Medicine and all of the other organizations that are sponsoring this forum that will, I think, set the agenda in the future for global investments in early childhood. It is hard for me to think of anything more important than this work. I would also like to thank the members of the forum for inviting me to speak about this idea of developmental potential as it relates to developmental disabilities. Historically, within the different spheres of early child development and developmental disabilities internationally, it is as if these two areas have operated parallel and there is no integration. My sense from the early child development work that goes on internationally is that they do not want to include children with disabilities. It is more about optimizing the development of children who do not have disabilities. I have gone around the world trying to understand this position and one of the explanations I have been given in some countries is that they have very limited resources to invest in child development and they do not want to waste it on children who do not have a possibility of achieving optimal development. That has been one explanation. Another is just there is an attitude, I think, within the early child development community that children with disabilities are a lost cause. There is not that much you can do. And the reality is that I think couldn't be farther -- this couldn't be farther from the truth. And that there are actually a lot of things that can be done to prevent developmental disabilities and to optimize the functioning and the participation of society of children with disabilities. That is one of the points that I would like to make. I think there are a couple of other reasons why we need to include developmental disabilities within this field of early child development. And one of these is just in terms of the prevalence. What we are seeing is that as societies advance and economic development proceeds, the prevalence of disabilities in children does not decline. It actually seems from the evidence to date to increase. We ignore this at our peril I think and we won't make good progress in early child development without including a focus on disability. The other reason is just simply in terms of the recent developments in human rights, the convention on the rights of the child and the convention on the rights of people with disabilities. Both insist that work in whether it is educational or health, we cannot proceed without also addressing the needs of people with disabilities. It has become a human rights issue and that is another motivation, another reason why I think it needs to be considered in this context. Just first, to define what we mean by developmental disabilities. A common definition. Also referred to as child disability is that these are functional limitations that manifest in infancy or childhood as a result of impairments to the developing nervous system or to other bodily systems. They can affect learning and cognition, mobility, hearing, vision, communication, and behavior. Now another way to conceptualize developmental disabilities and how that relates to early child development is thinking of these two normal distributions. Most of the tests that are used to monitor early child development will have -- the results will be normally distributed like shown here in pink. These tests typically are developed by removing any children from the population who have known disabilities and then come up with a normal curve like this. And then disability within that context is usually defined as more than two standard deviations below the mean and it is about 2 percent of children will fall in that category. For example, if you had a measure of social responsiveness, for example, which is used in diagnosing children with autism, it might be normally distributed like this with some people scoring below the -- less than two standard deviations. Or it could be a measure of intellectual development, IQ, and then children scoring below 70 would be classified as having an intellectual disability. And then children with disabilities are kind of a whole other distribution, as shown on here. Some of them overlap in terms and would be above the cutoff for disability on a particular thing. But they are nonetheless a significant portion of the population. In reality, there is only one distribution in the population and it includes people with disabilities. I think that efforts to improve child development overall are not going to be successful if they do not address the needs of children in the green distribution here as well, those with known disabilities. Another way to think about developmental disabilities that I think is very much unifies it with child development in general in preparing the disease control priorities volume several years ago, the version two, we did a chapter on learning and developmental disabilities. For that work, this was the scheme we used to identify on the right hand of this graph is risk factors that begin and very similar to what Dr. Georgieff was discussing. At the top are factors that affect brain development between the time of conception and throughout gestation and early life. These are various risk factors that can affect brain development and child development. And then going down from the top to the bottom goes throughout childhood, other kinds of risk factors that can affect early child development. And then on the left hand of the graph are interventions, many of which have been proven to be effective beginning in preconception period up through early development, folic acid, supplementation, things like that. That we have an evidence base for their effectiveness in either primary prevention of developmental disabilities or improving the outcomes for children with disabilities. What we use this scheme then to go on and try to evaluate the cost effectiveness of various interventions and what can be done. I point this out just because I think the same risk factors for developmental disability are risk factors for less than optimal early child development. It really is one field and the interventions are pretty similar as well. I wanted to talk a little bit about the relationship between childhood survival and the prevalence of disability. This slide just shows the progress that had been made as of 2011. It is the latest data that I was able to get on this millennium development goal number four, which is to reduce by two-thirds the under five mortality globally. You can see that there has been tremendous progress worldwide. I do not know that we are going to achieve the goal by next year globally or in low and middle-income countries, but we have made huge progress. Nobody can deny that. But the thing I wanted to bring up is that there is evidence. We had hypothesized this earlier, but there is growing evidence that when you have reductions in child mortality, you are going to see increases in the prevalence of disability. Part of this is because children who are at the highest risk for mortality are also at risk for a disability. And if they are surviving at greater numbers, it is going to add to the prevalence of disability in the population. In Bangladesh where -- the country that has seen some of the greatest declines in child mortality in recent decades. They have also been monitoring the prevalence of disability. We did the first survey in 1987. It kind of parallels the times here shown for the reductions in child mortality. I think this is some emerging evidence of what was predicted, which is that the prevalence of disability will increase with improvements in child survival. I wanted to point out that this whole concept that with improvements and economic development, we do not see a reduction in the prevalence of disability. We actually see increases. These are data from the United States, which shows the prevalence, what was considered the prevalence of child disability act in 1960 and then going up over the decades to 2009. One of the things that has been shown is that in the 1960s when disabilities in children were less common than it is today in the United States, most of those disabilities were physical disabilities resulting from things like post-polio paralysis, cerebral palsy, blindness, deafness. We have made enormous progress against those of those conditions, not all. But today the vast majority of developmental disabilities in children are considered mental disabilities or cognitive behavioral conditions like autism, ADHD, intellectual disabilities and things like that. There is a huge change in the composition of developmental disabilities during this period where we are seeing an increase in the overall prevalence. I think there is no reason to think that we would not see a similar pattern in low and middle-income countries as we see improvements in child survival. I bring that up just because if the goal of investing in early child development is to -- if we think that it is going to lead to a reduction in disability, we might be disappointed. It is not just reduced prevalence that we might see, but I think we have to expand our goal to think about improving outcomes for people with disabilities. And then we might have more of a potential for progress. Another point I wanted to make that it does appear that children in low and middle-income countries are at greater risk for disabilities than in high-income countries. This is just one type of developmental disability, intellectual disabilities, and severe intellectual disabilities. In high-income countries, there has been pretty constantly this prevalence has been and it is shown in the blue bars here -- typically, it has been between three and five per thousand children affected. There is a little bit of evidence emerging that the prevalence of intellectual disabilities, severe intellectual disabilities might be declining in high-income countries recently. But in low and middle-income countries where the evidence is available, for the most part in the red bars here, you can see that the prevalence is much higher in low and middle-income countries and in the developed countries. There has been relatively few data though from around the world that can really confirm the prevalence of developmental disabilities. This is partly because the tools are not available and they train personnel to do evaluations and make diagnoses and are not available for most of the children in the world. Part of this is because of the expense of the tools and part of it is the lack of training. UNICEF has played a lead role in beginning to monitor child disabilities in low and middle-income countries globally. This is just from a report that was based on the MICS. UNICEF surveys published in the Lancet a few years ago. And the basic finding is that the number of children at risk in low and middle-income countries is huge. The median across countries is about 24 percent of children screened positive for developmental disabilities suggesting a high risk. But there were no resources in the countries available to follow up the screening results with diagnostic assessments. We do not really know what proportion of these children had disabilities, what types of disabilities, and that sort of thing. It sort of raises an ethical issue too because is it in public health, we are not supposed to screen for anything unless we have a follow up plan and that we can provide services for children screening positive. In low and middle-income countries, you have to start somewhere by generating information. Once the data are there, you can then start developing services. I think that is just where we are right now globally in developmental disabilities. I wanted to just mention that the whole field of disability has grown tremendous in recent decades and especially thinking about disability. And a lot of this is embodied in the international classification of functioning especially the children and youth version where disability is seen not just in terms of impairments, the one dimension of impairments of a medical model of disability, but it has been expanded to include a big focus on functioning and participation in society of children with disabilities. When you take this more expanded view, you then can really appreciate the things that can be done to improve functioning of children with disabilities and their participation in society. Here is another scheme showing the ICF dimensions where disability is seen as operating on these multiple levels of impairment, activity limitations or functioning, and participation restrictions. The factors affecting these operate at a biological level as well as environmental factors. One of the importance of separating these out is that you can actually work on each level to both prevent disabilities, the impairments giving rising to disability in the first place, but also in tertiary prevention we call it in public health where you can focus on improving the outcomes for children once they had a disability. I want to talk now just briefly about the work that we did on the disease control priorities volume three, I think it was, or two rather where we had the section on learning and developmental disabilities and we were charged with what can we do. I know that Dr. Bhutta mentioned in his introduction that -- and I was pleased to hear that there is a growing recognition of the need to include disabilities within the early child development framework. But there is a question of what we should do. I think that when we look at the evidence for cost effective interventions is there is plenty of evidence. That is what I am going to show here today and right now are some of these examples. But in order to try to get a handle on this, what we did was we distinguished between primary prevention, secondary prevention, and tertiary prevention where primary prevention efforts are focused on preventing the impairment sort to speak. Preventing the condition that gave rise to the disability in the first place. A secondary prevention is once the condition -- it was not prevented, but we might be able to prevent it from becoming a disabling condition for the child. It is considered secondary prevention. And then tertiary prevention is recognizing that the child does have a disability. It may be lifelong. But what innovations can be put into place to improve the outcomes for the child? And what we did for this to begin to evaluate the cost effectiveness of interventions was we cross classified these primary, secondary, and tertiary intervention ideas, what are the interventions available by to what extent we have evidence of their effectiveness and cost effectiveness in low income countries, which is what we were aiming for, and when we found -- first review of the literature, we found so little evidence. We expanded it down to include could we find evidence from high-income countries that might be applicable. And then the next level of evidence is that there is no real evidence, but we might be able to estimate it from other data. And then finally at the bottom, no evidence at all, but theoretically we think the potential exists for cost effectiveness. This is how we set it up. And then we found interventions in the literature that fit into the various boxes and then conducted our cost effectiveness analysis to then project what could be the benefits from a global perspective. I am going to show here just the results for three of the kinds of interventions that we evaluated. One, in the first column, was folic acid, fortification of the food supply or a supplementation of women before conception ideally. And what we found was that it varies a little bit around the world depending on the country because of the difference in cost of an intervention and the prevalence of the condition. But using the DALY approach, which is not what I prefer to use, but that was what we were told that we should use, we found that the folic acid, fortification of the food supply is highly cost effective and $36 per DALY averted. It is right up there with all the interventions that are considered the most cost effective in global health. Looking at this, there was no reason to think that we cannot afford to prevent developmental disabilities at least to invest in these kinds of interventions. We also look at Down's syndrome screening and termination of pregnancies affected by Down's syndrome. Similarly highly cost effective as an intervention. It brings in a lot of other issues, ethical issues, and so far, in this country though we have the availability of this technology. It has not shown to be as cost effective as it was planned partly because not everybody who does it follows through with the intervention, which is termination of pregnancy. And the other issue is just the aging of maternal births. The trend is toward more births to older women. If we have the intervention, there is higher incidence of Down's syndrome births. This is an intervention that in countries where it is available has not yet shown to be effective in preventing disabilities. But the last one here, congenital hypothyroid -- screening for congenital hypothyroidism also highly -- there we did the benefit to cost ratios. Highly cost effective intervention that can easily prevent developmental disabilities in any area of the world that it was implemented. Just going back to the point about thinking of disability as a human rights from a human rights perspective. Here is a quote from the Convention on the Rights of the Child. A mentally and physically disabled child should enjoy a full and decent life in conditions, which ensure dignity and so on. I think with this in place, nobody can pursue an agenda in early child development without including children with disabilities. I think that that is indisputable. We have a complete paradigm shift in these conventions and in the international classification of functioning where people with disabilities are no longer viewed as objects of charity or just needing medical treatment to rid them of the impairment, but they are seen as human beings with human rights like others and we have a duty to do what we can to ensure that they are achieving their potential whatever it is and participating in society. Just in conclusion, the main points I wanted to stress are that at a population level, child disability is integral to child development and vice versa. We really cannot make progress in either area without unifying these and putting them on the same agenda. I think also just to point out that children in low and middle income countries are at high risk of disability in part because the things that we know how to prevent -- effective interventions that are proven and being implemented in high income countries to prevent developmental disabilities for the most part are not being done in low and middle income countries. This increases their risk of disability. It is happening at a time where we have increasing child survival. And the net result is it increases in the prevalence of disability globally. I think that prevention of developmental disabilities should be viewed as a global public health priority and some of the reasons for this -- in order to be a public health priority, a condition has to be fairly common. The impacts have to be severe and there has to be something that we can do about it. Disability satisfies all three of those. That supports my conclusion. I think my time is up. I just want to say thank you very much for your attention. What are some of the key reasons Durkin suggests for the disconnect between the fields of ECD and Developmental Disabilities internationally? What is the link between child survival and disability? How can inclusive policies and investments benefit all of society, not just children with disabilities? In the next presentation from the 2015 Prague workshop, Donald Wertlieb, Partnership for Early Child Development and Disability Rights, discusses children’s rights to inclusive ECD and the current global landscape. As I begin let me just share three dilemmas thus far from the morning that we might think together about, and if you can help me solve them I appreciate it. My interest includes connecting the dots between the CRC and the CRPD. So what the Convention on Rights of Children says a little bit about children with disabilities, the CRPD says a little bit about children. So the kind of handout and chart that we had from Professor Todres, which talks about the CRC and its contributions, to see another column there with the CRPD, and the power, if the forum was looking for a project to take on, it would be a great project. I’m also a little concerned about this misleading notion of margins. if the population sizes that we’ve been talking about, and I’m now going to talk about children with disabilities, which depending on what you believe or how it gets counted, maybe it’s five percent of a country’s population, it’s as much as 40 percent in some surveys, I think we’re safe saying it’s 20 percent. But that’s a pretty big margin, and if we add to that the other factors it’s there. And then the third is how do I feel as an advocate for children with disabilities about being on the laundry list. So the laundry list as we say, children at the margins are vulnerable children, girls, Roma, emergency zone, conflict zone, disabled. What do I gain, and what do I lose, by being on that laundry list? There seems to be some notion among us that we’re at a momentous moment, at a kind of tipping point. After all we have a quarter century with the CRC and the CRPD. We have the SDGs and the Incheon Declaration on Inclusive and Equitable Education for All. We have each of the agencies, each of the multilaterals over the past two or three years issuing major reports on matters of children with disabilities. The European Agency has announced its follow-up of early childhood prevention to be termed inclusive early childhood development. And soon we’ll hear from Holly on the recent survey of global ECI policies. In the United States we have a brand new policy on including children with disabilities in early childhood programs. UNICEF is about to release its Inclusive Early Childhood Development Guidance, and UNESCO has launched E-Learning for Inclusive Society that includes a zero to three module and a four to 16 module. So we have lots going on, you have the reports, some of them are familiar here, and a flood of information on early childhood development that provides strong and urgent case for action and investment in the needs and rights of children with disabilities. In particular I’m pleased to see that there are several members of our Early Childhood Development Task Force of the Global Partnership for Children with Disabilities that are explicitly articulating the case for children with disabilities within the ECD framework. We draw upon that both for science and for policy. No doubt your bookshelves are flush with these recent policy and program documents. There are four transformative trends that we see at work here. They include growing numbers of children living with disabilities, that’s a crucial one in terms of numbers and complexity. These children generally comprise at least five percent or as much as 25 percent of any country’s population. They require and they deserve inclusion in global efforts to build healthy and prosperous societies. For the first time in over 35 years the State Of The World’s Children Report out of UNICEF, just two years ago, only then gives priority to children with disabilities, a number they gave at 93 million children across the globe. Back in 1980 with the launch of the State Of The World’s Children they were included in this laundry list of vulnerable groups, and that group was estimated at 150 million children. So refinements of definition, epidemiology, and measurement remain crucial challenges, but have not and need not stop progress towards inclusive early childhood development. We’ve alluded already that we’re dealing with a new morbidity. I’m all for celebrating progress in child survival, but let’s acknowledge and act on the needs of the survivors. We have more children living with more disability. Essentially this is the price of development. As the global community achieves its worthy goals in reducing infant mortality, more babies live, many of them with disabilities that threaten to compromise their current and eventual health and functioning. As technological, economic, and social advances globalize the cost in terms of disability rises. Treatments for what were terminal illnesses become accessible to more communities, greater numbers of children survive, often with chronic illness and disability. New highways, faster cars, more road crashes, more injuries, more mortality and morbidity. The diseases of affluence, obesity, cardiovascular, behavioral illnesses have both early childhood origins and lifelong effects. We remain in need of a greater appreciation, and Dr. Vesna’s comment about unintended consequences needs to be underlined and echoed in each of the discussions. Modernization and economic prosperity bring with them a new and challenging ray of health parameters. More postpartum disorder showing up with modernization, and we know that that will translate into more need for early intervention and more disability. We’ve shifted away from medical models to biopsychosocial cultural models, there’s some reference to that, and away from narrow deficit models to strength-based models, and Viva is going to illustrate in just a moment some examples of that. And certainly the right space framework that replaces the old charity based approach is quite important. Less focus on handouts, more attention to hand-ups, cultivating human capital, investing for a stronger and more prosperous society. So if I can be so provocative to assert that there are two necessary but not sufficient conditions for progress towards the SDGs. The first one we’ve heard about over and over is the cross-sectoral integration, collaboration, and inter-operability. And I won’t go into that more because there seems to be some consensus that it has to be done, how to do it remains to be seen. The second is what I’ll call triple twin tracking. I think many of us are familiar with twin tracking because it has been considered the mainstreaming of disability, and I’ll call that twin track one. So we have here the notion of cultivating inclusive services, but also knowing that in many countries capacity for special services must be developed simultaneously in order for inclusive services to work. I’m cautious around the word mainstreaming because in the United States, to the extent that that’s a good example, mainstreaming is a very 20th century idea, and inclusion is its 21st century version, but there are some issues with that language. There’s another twin track that’s extremely important, and that’s child and family centered as well as community based, and Viva’s comments will address that. And similarly our special knowledge of young children as well as older children becomes important to distinguish. So we have disability services as part of universal services in track one. We have twin track two, which promotes child and family as well as community based services. And twin track three, which puts those things together into a kind of three legged stool, a lot of harmony in a high conflict zone you might consider. The challenges and the opportunities, as I finish up here, are the tyranny of tradition, clinging to outmoded medical deficit models and narrow limited frameworks of defectology, rehabilitation and special education leave us siloed, leave us fragmented. Large NGO organizations and funding organizations that can be quite influential in defining priorities for decreasing childhood mortality emphasis and looking more at developmental outcomes of survivors, essentially what are called the new frontiers of development. There’s the tyranny of special in terms of nomenclature and epidemiology. We call on policy makers to increase the knowledge base because too often for a variety of reasons these children are excluded from studies. We ask scientists and funders to commit to new generation of research that reflects an inclusive early childhood development and rejects the exclusion and marginalization of disability in the name of rigor or expediency. For instance a seminal review of research on parenting and supporting and strengthening child caregiver relationships lists as exclusion criteria papers focused on specific pathologies, rare and uncommon illnesses, disorders or disabilities, such as attention deficit disorder and hyperactivity. And we see this kind of scientific rigor presented as expediency and essentially yet another reason for excluding. So to move us into the next task and to consider this bit of wisdom, to err is human, to forgive divine, we’re faced with the issue to screen, to diagnose, to single track rather than twin track, to exclude, these are all quite human factors, but to intervene for good, to include, to invest early, to invest smart, and invest for all, that becomes the divine goal. Both Durkin and Wertlieb make some strong points about the importance of inclusiveness as well as some of the challenges. Think about someone you know who is living with a disability. How does what Wertlieb and Durkin say relate to their situation – and their opportunities and challenges in life? Wertlieb’s presentation is followed by his colleague’s, Vishna Krisnamurthy, Ummeed Child Development Centre, who discusses a biopychosocial approach to disability. I will try to take off where Don left off. What I’m going to do is try to do what Sarah said this morning, which is integrate science in ways that are practical and useful, particularly with reference to policy and practice. And I will try to use examples from my own practice at our center in Ummeed in Mumbai to illustrate that. One thing that Don talked about was moving from medical to biopsychosocial model. In this audience I don’t need to tell anyone the difference between the photograph on the left and the photograph on the right. On the right is one of my little patients with Down syndrome. He comes to our early intervention center, his family is a middle class family in Mumbai, and he gets services at our center. On the left is a little boy who I met in a village in India, and he actually is brought up by his 12 year old sister while his mother works in the fields. He has an 80 percent chance of being anemic and a one in two chance of being malnourished. He also has a caregiver who on a daily basis has no idea about the importance of communication and play in his development. When we look at this continuum we see that the needs of both the children are not that different, and the outcomes are going to vary depending on the multiple factors that contribute to their development. When we place disability as a special issue that our communities and care providers need to deal with, they seem a little overwhelmed by the special population they need to take care of. But if you place it in the context of the needs not being that different, in terms of both benefiting from better outcomes if they’re identified early and get early intervention, then the task doesn’t seem so daunting. So what does this mean for twin track one? What this really means is that when we’re planning community health programs, or we’re planning intervention programs, really placing children with disabilities in the context of child development in general is really useful. So for example at our center at Ummeed we have five programs running which are focused on rural and urban poor, and we’re looking at early childhood development and disability. You’ll notice that the title says ECDD, and that’s deliberate. We include disability in the title and put it right out there, because when we talk about early childhood development we cannot talk about disability outside that context, we need to place it squarely in that context. What does it mean for the training program itself? We begin the training program by teaching the focus on promoting ECD in families in the community, and talking about the importance of ECD in general. We then layer that with monitoring for early childhood development in the form of detecting children with delays and disabilities early. Third, we layer that with working closely with families to provide services to children at risk or children with disabilities. And yes, sure, these children do need specialized services. There may be kids who need hearing tests, there may be kids who need wheelchairs, and to make sure we do that we identify local resources along with our community resources and try to provide capacity for those local resources to provide specialized services. I’m moving now to the second issue that we spoke about, moving from a deficit to a strengths based approach. I don’t know how many of you are familiar with the Latif Jameel Poverty Action Lab in MIT. I was struck by this quote from the book, which is actually the essence of the book by Esther Duflo and Abhijit Banerjee, which is that the way the poor make decisions is not that different from the way you and I make decisions, it’s just that they have fewer choices, and they’re very well aware of the fact that their decisions are even more important, the choices they make. I want to tell you the story of this little boy to illustrate what I’m saying. I have their permission to use this story. In fact they urged me to use their story when I asked them permission. So at the center of this you see a little boy, Amole, he’s ten years old. I could tell his story in two different ways. I could tell you about a little boy who was diagnosed late with hyperthyroidism at the age of ten months. He received thyroxin too late, and then ended up having intellectual disability, and that’s who I see before me. And I could end the story right there, but then that would mean missing out on the rest of the story. I will now tell you the story of a family who comes from one of the poorest districts in my state. They went from pillar to post when they realized their one month old was not doing well. He was sluggish and he was not developing, his cry was hoarse, he was a little jaundiced, they didn’t know what was going on. They finally got their diagnosis with the eighth doctor they visited when he was ten months old. He was diagnosed with hyperthyroidism. At one and a half to two years they noticed that their baby was not speaking like the other kids. And so then they sought help and finally showed up at our center, which is a 12 hour bumpy bus ride away from their community. The story doesn’t end there. This family actually has mobilized resources from their local government agency to get funding for this child to go to their local school. They have mobilized others in their community, and now they refer patients to me. So this is the story of a family whose strengths we use. And on the left you will see two of our community workers working with children and with families, but on the right you will see a self-help group where we make ECD and disability a priority for the community. They take ownership of what we’re talking about. I’m going to pause here for a second and talk about the fact that I come from a context, as do most of you, where the social discourse is about the importance of the expert. It took a long time for me to unlearn this, and it was not easy. I was fortunate enough to get two structured teaching sections, two types of teaching to help me unlearn this. And if it’s not easy for me, it’s certainly not easy for the community health workers, the teachers, the therapists, and the doctors we teach, in that increasing order of difficulty in terms of teaching them. It is very difficult to recognize families as the experts in their own lives, and not just the experts in their own lives but in terms of the people who are ultimately going to make a difference in their own communities. So I just want to highlight that as something we need to keep in mind in terms of building capacity for low and middle income countries particularly, because this is not intuitive, it’s certainly not taught, and most people have not experienced this. Lastly, I want to point out the importance of the third twin track. Yes, we do have ECD where all the sectors come together, but do we have inclusive schools and inclusive centers for young adults where we can then transition some of our children that we’re talking about? We have specialized knowledge about what works for kids in early childhood education, do we transfer what we know about kids with disability to that context? So in other words what makes things better for the most vulnerable in your population will make things better for everyone, and that’s something we need to remember. I will end with the recommendations that we’ve been requested to provide, and this just summarized what Don actually said. Firstly, the need to look beyond survival into the developmental outcomes of those who survive. The fact that to date all our research in the area of ECD and ECE tends to exclude children with disability, we need to stop consciously doing that. And that of course extends to policy across sectors. And lastly, and most importantly, I think we need to build capacity in low and middle income countries, and all countries indeed, for family centered and strengths based approaches, something for which we have no structured learning available today. Thank you. What do you see as key takeaways from these three presentations? Have they changed your thinking in any way? Geography can also be a significant barrier in delivering services and getting resources to young children and families. Countries and communities vary in terms of what constitutes remote locations but they are often underserved and ECD may not be a priority. Delivering programs to rural and especially remote areas is usually much more costly. It can be hard to find and retain health care providers and teachers in smaller communities. Language, culture, deep poverty and difficult terrain can be additional challenges. Often, primary schooling and basic health care is a much greater priority than ECD but even that may be of poor quality. How would you describe delivery of programs that impact young children from the prenatal period to age eight in your country? How does it compare to programs for children in urban areas? Can you think of any innovative examples for program delivery in rural and remote areas that are working well? In the next presentation from the 2015 Hong Kong workshop, Kalana Peiris, Plan International, discusses a really interesting household-based ECD intervention undertaken in Sri Lanka with children in rural areas that had been affected by armed conflict. DR. PEIRIS: When it comes to Sri Lanka, it is considered an outlier in South Asia because all the traditional health indicators are better -- maternal mortality, infant mortality, facility delivery, skilled birth attendance, everything is 90 percent. Immunization coverage, everything 90 percent. But I am going to talk about an intervention we did with 135 village settings in what we call remote rural areas in Sri Lanka, and my presentation today will focus on 77 out of the 135 which are really affected by the conflict. They are not the directly-affected communities. Directly, the conflict was here, but the communities which were in marginally conflict-affected areas are the focus of today's discussion. This was an area bordering on conflict characterized by night-time displacement, sporadic terrorist attacks on civilians and disruption of livelihoods. We started the intervention about one year after the conflict, so it was a post-conflict setting where the community cohesion and community spirit was not there because the community was isolated for so long. There were slightly more than 3,800 children under the age of 5 in these 77 communities. Interestingly, even during the conflict, what continued was the health services. The health services were there functioning and the community midwives were assisting communities even with hardships, and still if you take the skilled birth attendance of facility deliveries were 99 percent. Immunizations were 99 percent, even with the conflict. But, when we looked at those 3,800 children, the percentage of children who were underweight was 64 percent. In most of the 135 villages, it was 45 percent of children who were underweight, especially the 2-year to 5-year age group. And girls and boys were equally affected. The other 36 percent were also not safe. The population of underweight children was dynamic because all the time, from these 36 percent, new children were getting added to the cohort of children who were already under-nourished. Livelihood and the other characteristics are typical of our rural poor community; education of both men and women was lower, and the situation was 90 percent of the mothers had exclusively breast fed their children for 6 months, but diets were undiversified. Maternal and child care practices were found to be really at stake, but health-seeking behavior was good and access to healthcare was good. So we thought there is no new evidence that we have to generate; we just have to put the prevailing evidence into practice. We knew what we wanted to do from sources including, but not limited to, essential nutrition action, et cetera, et cetera, because we had all the evidence in the world about what to do. How to do, the panacea was to educate parents, educate on exclusive breast feeding, educate on how to make a diversified diet, what percentage of carbohydrates, what percentage of lipids. That is what the primary healthcare system was doing. There were public health midwives -- they are really community midwives who are not expected to do deliveries because institutional deliveries were 99 percent, but they were expected to go to the communities and visit homes and engage with the communities, but all they were doing was preaching. And there was a lot of supplementation going on. But there was a glass wall. If you talk without this mic the people who are in the translation cubicle will not hear us, so the translation will not happen. Like that, even when the health workers spent their time and energy and resources on educating people, there was a glass wall preventing this education and improved knowledge from translating into action or practices or behavior. One really big factor was overloaded workload. They had an economic role, they had to do all the household work, childcare, and on top of that there was a high prevalence of domestic violence, and they had really little time for recreation and their mental wellbeing was poor. They themselves were either under-nourished or over-nourished. There was no significant food security issue, like lack of food, but there was a utilization issue where researchers highlighted the effect of -- there were good diverse diets available but people were selling it to the shops and buying commercial products, which indicated social value towards commercially-available, processed, advertised food. There were some misconceptions about food. A really big factor was that the control of finances in the household was with men, and they spent a lot of money on alcohol and smoking. Even the income that was generated by their wives was spent on this. Due to the long period of conflict, they were really lacking aspirations for their children and their families. For this we did not have any vaccine. Actually, when we presented these people were looking for success, especially the private sector. They were trying to produce a success value, give a powder to men and they were not violent. But we didn't have it. The only solution was the social transformation approach. So we needed to change household practices. Nothing else would change what children were getting. To change household practices, unlike in societies were families live in isolation, these were collective communities where other neighbors have a greater influence on what happens in the household. So you needed to change the neighbors and the community, and how do you do that? Do we have a vaccine to change the community? No. This was our intervention logic. We needed to have a community-led action, collective action to change people. Emily mentioned this. Communities have potential to do collective action and change societies, and we need to harness that. The greatest factor that we opted to address is the attitudes and skills of the already-prevailing community midwives who are remanded to do this task and to make them more skillful and have more favorable attitudes towards engaging people and enabling people to come up with their own action to address their own problems. We started this program with the Foundation for Health Promotion Ministry of Health, University of Sri Lanka spanning from 2010 to 2012. It was really to bring out community action. The key features were that these were entirely owned by the communities; the action was not prescribed. They own it. And they were not outside events; they were embedded in their daily routines. Ultimately, we found that they were contagious. Because they were so interesting, easy to do and produced results, the neighbors took it up more easily. Communities themselves monitored the change and the process was very interesting. This is a very good example of changing of aspirations among mothers. This mother -- imagine her child's brain is like a beehive. The amount of interaction she and her child and her father had with each other. Imagine it to be like bees filling the hive with honey. She got her child to fill up each cavity with color -- whenever she felt that father and mother did something for me, that made me happy. That really sums up the change in the mindset of people. They created what they call baby rooms but we renamed it as baby corners because some of the houses hardly had any room. They were having one space for the entire family to cook, sleep and everything. They call it feeding the five senses. It is creating and stimulating an environment inside and outside the house for the child's wellbeing and development. I particularly chose this picture because this is child's play house and this is their kitchen. I think the child's house is better than their own house. They were contagious. Five families would start it and when you go one month later you see the whole community is doing it. When you are walking on the road, you will see every household that has a child under 5 years has a play house dangling little things, so it is very visible. Group play houses -- this is a remedy for the workload issue. They got together -- families and neighborhoods, five or ten families got together and gave their children a chance to play together and eat together. They soon realized that when the children are together they eat more. Even the things that they never at home, they were eating. Then they invented the tool called happiness calendar to stimulate change in gender relations. I don't have time to explain it to you, but the result was amazing. Sixty-four percent came down to 28 percent in just 2 years. I don't deny the fact that the end of conflict played a role in this remarkable change because people's livelihoods changed and all that. But when we compared it statistically with the areas where there was no conflict, when you do a general analysis you could see that there is no difference. There was a very remarkable difference in the post-conflict areas but there were similar changes in the non-conflict areas. That is one of the things that we need to take forward when we think of the future of this program. Diversity schools came up. Median time spent with children came up. Low birth weight came down by one-half. Underweight among preschoolers came up. This is one of 3,000 growth charts where you see they were going in the red zone, -3 SD came up. This was being captured by one of the UNICEF studies later on. Challenges. Communities at first did not believe that the communities had the potential to transform their own environment, so we had to do some convincing. The participation of the midwives was entirely voluntary; they were not forced and were not measured on their performance. Finally, replication is a challenge because there is no pill. This is not like you invent a pill and give it to everybody with the same symptoms and they will get better. It is not like that, because each community is different. Each household is different, so you have to customize it. There is a great deal of customization. Yet, UNICEF and the government of Sri Lanka partnered with Planning Sri Lanka to expand this into 9,000 communities, but the government changed. I moved to Laos so I don't know about the progress of the program now, but I am hopeful that this will be replicated -- replication is not a good word, but will be expanded to 9,000 communities at least. As I said, more research, more robust research is needed for this to become a pill of some sort, if at all. This proved to us that bottom-up approaches work. Also, when this is being implemented in other areas I think the soft elements need to be taken into account like how the facilitation is done, how the engagement of communities is done. There was a health promotion facilitator to mentor the public health midwives, and the idea is to place them out in other areas when the midwives are fully competent in doing it. Thank you very much. Why do you think this program was so effective? Can you think of at least five reasons? What can you learn from this example that might be useful in your context? 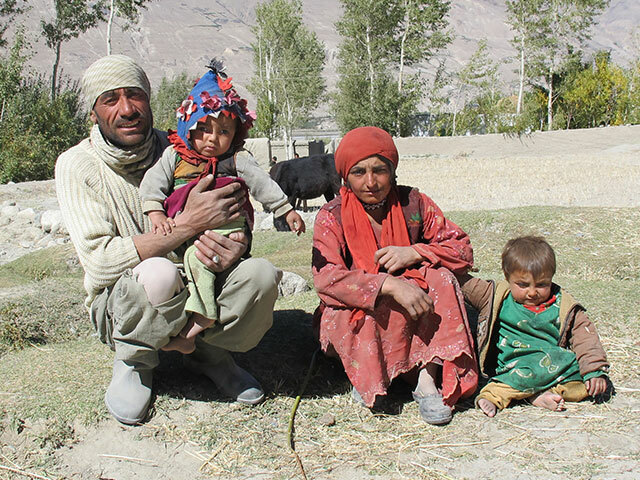 For almost 10 years, the Aga Khan Foundation has been supporting early childhood, health and rural development programs in the remote and sparsely populated Wakhan Valley in Northern Afghanistan. This region has had some of the poorest health outcomes in the world including short lifespan and high maternal/child mortality rates. The next video gives you a glimpse into daily life of a group of siblings and cousins who live together in a compound in the remote Wakhan Valley in Northern Afghanistan. Watch as they play in the courtyard, have a family meal and go off to preschool together. Based on this very limited glimpse into their lives, what do you think might be some of the strengths and challenges in their childhood experiences? How do you think the ECD centre may impact their lives? (Note, one of the older girls walking with them is a teacher there). Across countries access to ECD programs and resources is challenging, particularly for disadvantaged and vulnerable children and their families. Access to ECD programs and resources is the essential first step to benefiting from ECD initiatives but is uneven in most regions. Participation in ECD programs can be transformative for the developmental trajectories of vulnerable young children. Discrimination and social exclusion have a profound negative impact on young children and can be ameliorated by participation in ECD programs. Burnett states that those most likely to benefit from early childhood programs are actually those least likely to be participating in them. Research shows (Dotterer and all, 2012) that targeted programs tend to be less structured with less formally qualified teachers but with higher quality interactions between children and caregivers that in universal programs. Which of the below does Burnett cite as major challenges to targeting ECD programs? According to Arnold, children from the most disadvantaged regions of the world have the least access to Early Childhood Education (ECE) programs. Arnold recommends that private funding sources will provide the best solution to increasing access to ECE for children in low and middle income countries. Durkin states that there is an attitude within the early child development community that children with disabilities are a ‘lost cause’. Children in low and middle income countries (>80% of the world’s children) are at high risk of disability due to lack of primary prevention and exposure to poverty. Which of the following are the four transformative trends that Wertleib presented related to issues regarding children with disabilities. Click on the correct options. Correct choices will be highlighted in green, errors in red. As rates of infant mortality are reduced, fewer babies are born with disabilities. According to Wertlieb, the traditional medical model provides the best solutions for supporting the increasing number of children with disabilities. Which of the following does Krishnamurthy identify as characterizing the biopsychosocial model of supporting children with disabilities? Click on only the correct options. Peiris describes a ‘glass wall’ that prevents health programs from being effective consisting of overburdened women, poor nutritional practices despite adequate food supply and money being in the control of men only. According to Peiris, in post-conflict remote communities in Sri Lanka, the most effective change happens when people are told what to do by the authorities.